Find My Price, new price comparison service, awarded the LG 47LM8600 Cinema 3D TV Set as the best high-end product of the month. According to Ironclad Integrity Ltd. http://www.FindMyPrice.net has been on the Internet for less than a year, but has managed to build an undeniable reputation due to the accurate product descriptions that they constantly publish. Every month, the company designates one product as the best or worst device to have been reviewed. This time it was LG’s 47LM8600 3D television set that was placed under observation, but reviewers couldn’t find one flaw in the product’s performance. The 3D TV set is not for everybody; it is a high-end product as customers will have to spend around $1,500 to get one model. Those who can afford to make this investment will not be disappointed by the system as there are many advanced features that users will enjoy. The picture quality has been highly rated by analysts as the 47-inch screen foreseen with 2D and 3D technologies has the capacity to turn filmed images alive. The 3D glasses that have been purposefully created for this model are light and slim, so they won’t bother viewers even if they wear them for several hours. The design of the television system is equally important to the picture quality. According to reviewers, many buyers will be impressed by the thin aluminum structure of the device, as well as the frameless screen. In addition, the TV may be ordered with a modern stand that is barely noticeable due to its uneven shape and the metallic fabric that was used for its construction. The software and the internal components that have been embedded on the television system were highly praised by reviewers at Find My Price. The device was incredibly fast during all performed operations due to the dual core processor. In addition, the built-in Wi-Fi gives buyers the possibility to perform all sorts of activities that they normally do with a PC or a tablet. As soon as the Wi-Fi is turned on, the device is ready to surf the Internet, download customizable apps and share content with other devices. 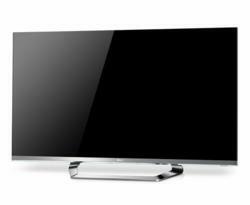 LG’s 47LM8600 model will feature as the best high-end product until the end of the month. However, reviewers, estimate that the TV set will continue to be popular for a long period of time as the options it offers are very advanced in comparison with other products in the same category.